The RV Doctor: Where's the Junk? Somewhere in the USA there has to be a junkyard for motorhomes that a person could buy used parts. Stuff like a leveling unit, electric steps, antennas, etc. I know my junkyard has one motorhome that is thirty years old. Ever heard of any? ARIZONA RV SALVAGE - 2737 W. Lincoln, Phoenix, AZ 85009; (602) 272-0301. BONTRAGER'S SURPLUS PARTS - 18719 E. US 12, White Pigeon, MI 49099; (616) 483-7017. BRANDON AUTO SALVAGE - 3159 Highway 60 E., Balrico, FL 33594; (800) 282-7462. CHEROKEE RV SALVAGE - 5050 Humboldt St., Denver, CO 80216; (303) 295-3433. ECONOMY RV PARTS 1678 W. Superstition, Apache Jct., AZ 85220; (800) 224-2601. GUNDIE'S INC. - 1283 Mt. Baker Hwy., Bellingham, WA 98226; (800) 444-4344, (360) 733-5036. ICKE'S RV SURPLUS - 701 W. Huntington St., Montpelier, IN 47359; (317) 728-5668. MATHER AUTO WRECKING - 4095 Happy Lane, Sacramento, CA 95827; (800) 822-6110. MIDWEST SALVAGE - 1700 N. State Rd. 5, Shipshewana, IN 46565; (219) 825-9822. NATIONAL RECOVERY SERVICE INC. - PO Box 310, Liberty, NC 27298; (800) 903-7285. RV RECYCLERS - 3391 Fitzgerald #B, Rancho Cordova, CA 95742; (916) 635-9303. RV SURPLUS & SALVAGE, INC. - 1400 West Bristol Street, Elkhart, IN 46514; 574-264-5575. SHAW & CO. - 6374 State Rd. 303, Albuquerque, NM 87105; (505) 877-8949. SINGLETON RV SALVAGE & SALES - 383 Nelson Rd., Rochester, WA 98579; (360) 273-9566. VANDERHAAG'S INC. - 3809 4th Ave. W., Spencer, IA 51301; (800) 831-5164. (712) 262-7000. 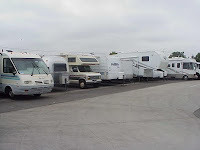 WALT'S RV SURPLUS - 16616 Valley Blvd., Fontana, CA 92335; (909) 823-0563. WELLER AUTO - 2525 Chicago Dr., Grand Rapids, MI 49509; (616) 538-5000. WINNEBAGO SURPLUS - P.O. Box 152, Forest City, IA 50436-0152; (515) 582-6935. I’m sure there are many more, but this should give you start. Use caution and remember it’s not wise to reuse any plumbing or LP gas fittings.